We got duped…big time. 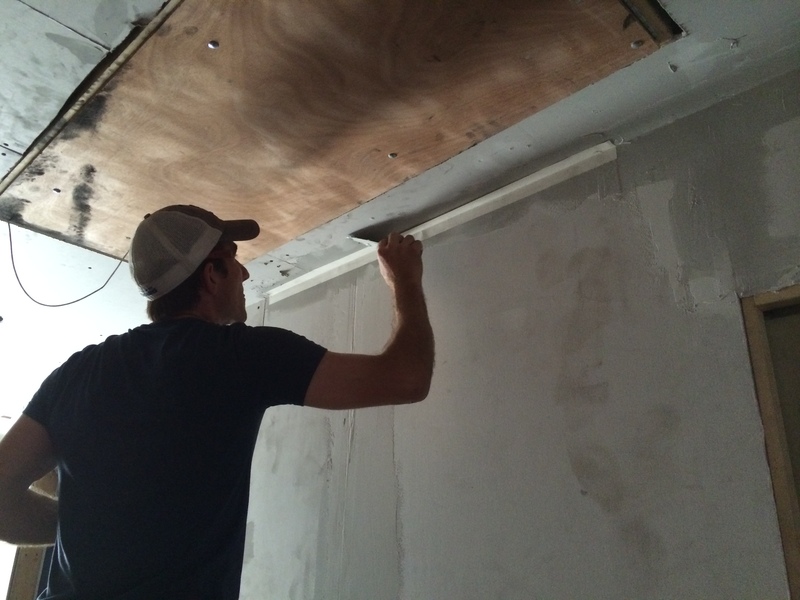 After days of hanging drywall, we got fairly good at it. 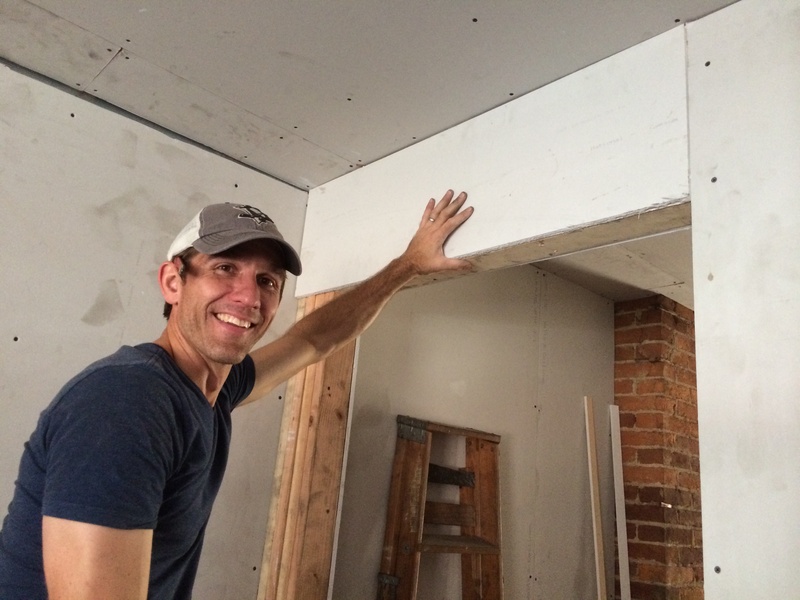 Mark can cut and hang it like a pro. 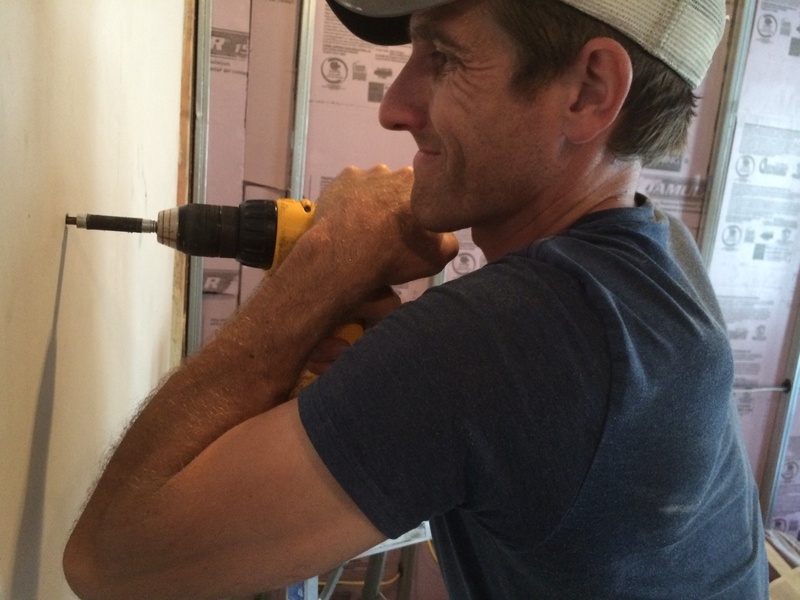 And he’s getting some pretty big arm muscles using his Dewalt power tool to screw it in. We thought it was easy-peasy. 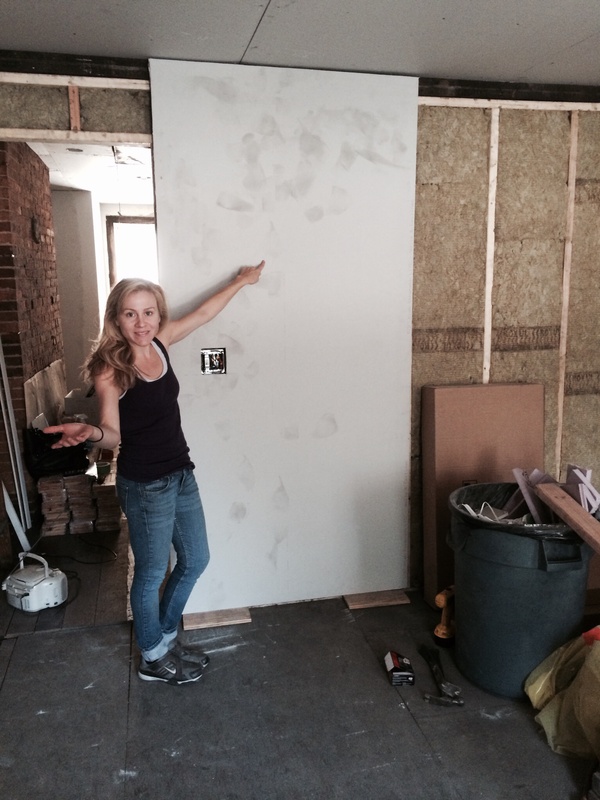 Look how smug I am with the drywall…holding it up with just one finger. That feeling of superiority quickly went away when we started the mudding and taping. You have to do it quickly so the mud doesn’t dry while you’re working with it. But you don’t want to go too fast because then you have grooves and divets that shouldn’t be there. 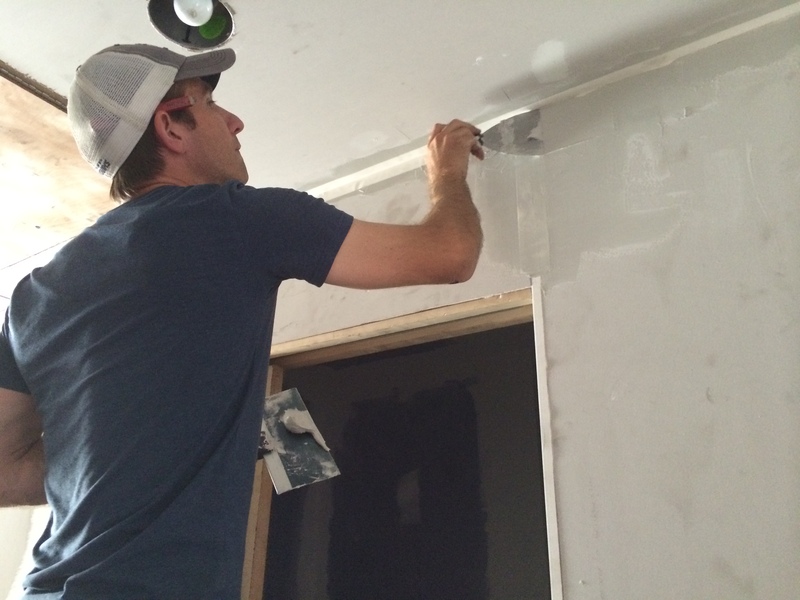 Soooo many people told us to hire a professional to do this part of the renovation. Why are we so hard-headed? Are you guys doing a smooth finish or texture/stipple? 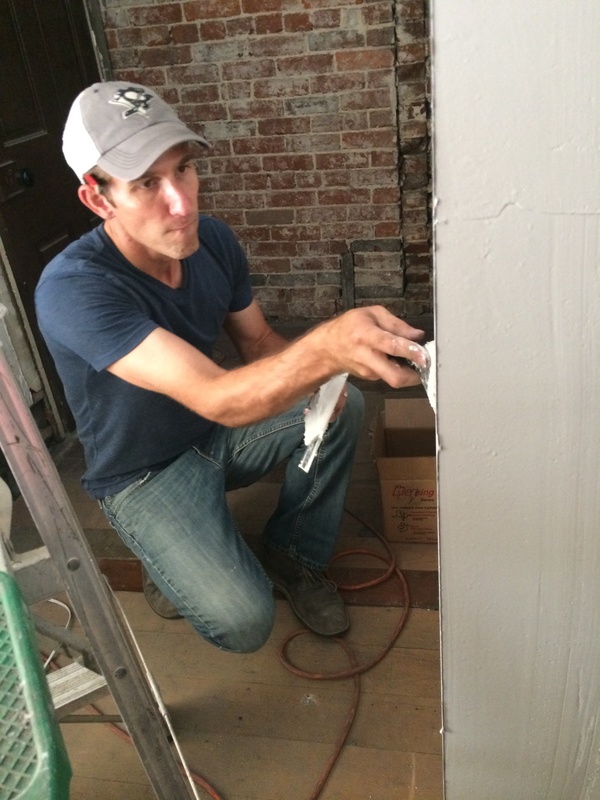 Smooth finish is the fun/hard part, sand/skimcoat/sand/skim/primer/skimcoat! We’re planning to do a smooth finish…it’s pretty hard to get perfect. It’s taking up more time than we thought.